Where history blends with the ocean. Chicama or Malabrigo Port is a natural and historical jewel hidden between the ocean and costal desert of La Libertad Region in the central coast of Perú. The longest surfeable left wave in the world, pictured in front of an spectacular sandy beach, ends by the old sugar cane port, built almost 100 years ago. Today Chicama is home to fisherman, refuge of perfect waves, nature and relax for its visitors, and an unbeatable base to visit the historical surroundings, due to its location along the Moche Route. 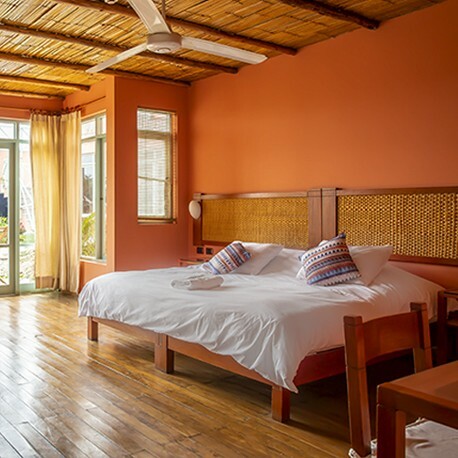 Chicama Boutique Hotel offers a place where relaxation and comfort are the norm. Enjoy our infinity pool, purify mind and body at our spa, take a warm and relaxing bath at our Jacuzzis, and taste the exquisite Peruvian gastronomy, while enjoying of one of the most amazing sunsets ever. We offer a variety of activities and services suitable for everyone, from a exquisite restaurant with an awesome view of the bay, a fully stoked bar, a first class Spa, games room among other services that will make your stay a memorable experience. We know that surfing is not the only thing that makes a trip extraordinary, which is why we also have designed a series of Tours to enjoy on our own, as a couple or as a family. 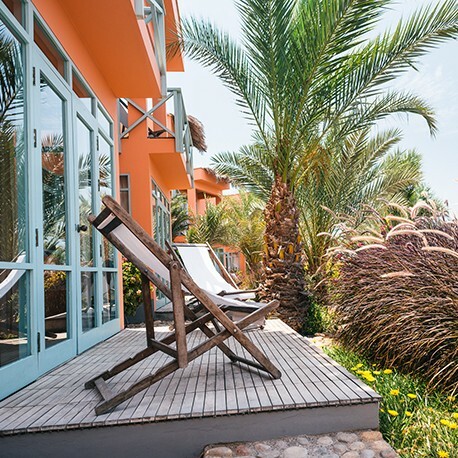 A place to enjoy the sun and the amazing bay views, adorned by never ending waves and vessels at sea. We have an infinity pool that helps guests relax while enjoying a nice cocktail. Next to the pool, the outdoor Jacuzzi is the perfect place to end an intensive day. Our restaurant offers a spectacular ocean view. Its architecture is an ode to the houses built in the 1940s in Peru´s famous coastal towns. At the bar our guests enjoy the best local cocktails. Our menu is diverse and exquisite, it includes seafood, local dishes, pastas and vegetarian options prepared with the best local ingredients. Our spa strives to combine elements that promote a healthy body and a healthy mind. Water occupies the lead role in offering a truly relaxing experience, with a sauna and jacuzzi circuit that can be complemented by massages that will impress even the most demanding guest. Our gym is fully equipped with all the necessary elements to keep you fit while having a great holiday or enjoying surfing in the longest wave on earth. 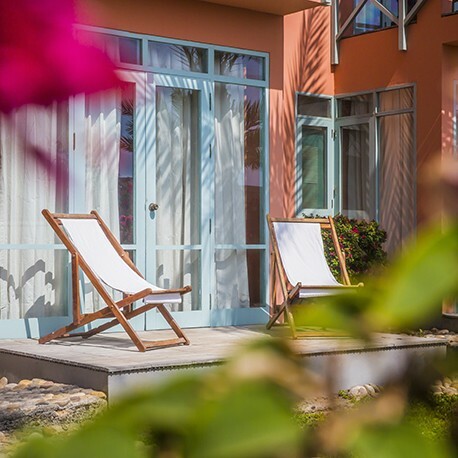 We consider that an essential thing to achieve tranquility during a vacation is not just disconnecting from your usual surroundings and activities, we think that you must also connect to yourself and nature. For the yoga and meditation lovers, we have designed a special space for them. Located in a 3rd floor, our games room has a ping pong table, billiard and table soccer all with an amazing view of the bay. Since summer 2017 the government invested in a lovely board walk along the Cliff in front of Chicama bay. This is the perfect place for a bike ride. Ask for our bikes at the hotel´s front desk. Chicama is a perfect location to start in this awesome sport. The wave is mellow, the bottom is sandy and the wave is very forgiving. Surf lessons include, Surf Instructor, Surfboard and Wetsuit. Please ask for them at our front desk or request it on your reservation. Chicama has been a fishing town for ages and most locals still live from this activity and they would love to show visitor how they do it. At Chicama Boutique Hotel we offer our guests a lovely 2 hours Fishing Tour, guided by experienced local fishermen that will take you to their secret spots near town. Peru´s gastronomy is known worldwide and our restaurant offers a great variety of dishes. Most of our guests tell us that when back home they miss our food, so we created the Chicama Cooking Lessons, where you will learn on firsthand how to prepare your favorite dish with the help of our cooks. Chicama is located in a dessert, perfect scenery for taking an ATV around alone or with friends. Ask for ATV rentals at or front desk. Impressive mud citadel, second biggest in the world, located 1:15 hours from Chicama. Connect with ancient Pre-Inca history with the archaeological jewels in the area. Ask for these tours at our front desk. 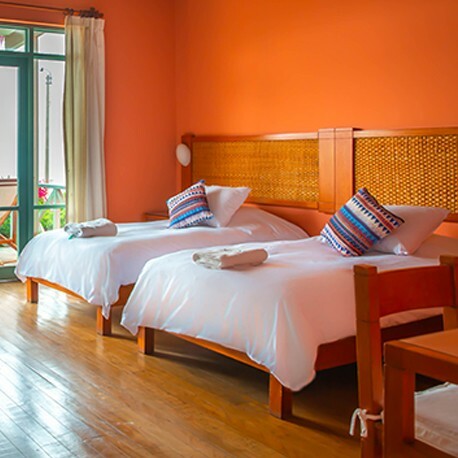 Our 20 rooms are furnished to provide the utmost comfort to guests. They all have a private bathroom and either King or twin beds depending on what’s required by the guest. 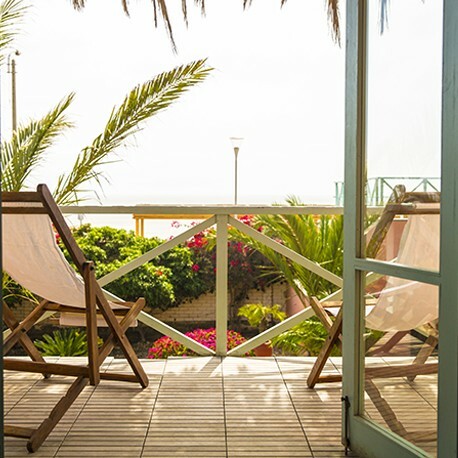 All rooms have a private terrace or balcony where guests can enjoy Chicama´s beautiful sunsets. A few years ago our wave was threatened with the potential construction of a 2km long pier, which sought to convert Chicama into an export port for agricultural and mining production. That's why we asked for help from the Surf Federation of Peru, who put us in contact with the NGO Conservemos por Naturaleza and its subsidiary Hazla por tu Ola. They were in charge of making the registering Chicama in RENARO, as a a wave protected by the Law of Rompientes of Peru (Peru’s Wave Protection Law) . 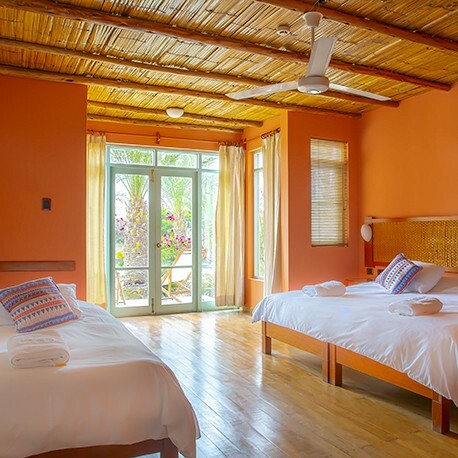 Chicama Boutique Hotel financed all the required studies and actively participated in meetings with the authorities. This is how Chicama became the first wave protected by law in the world. Special thanks to Carolina Butrich and Bruno Monteferri of Hazla for your Ola, to the FENTA and to the Navy of Peru for this great achivement! Youth Weekend: Six years ago the Chicama Boutique Hotel partnered with Share the Stoke Foundation of the USA to help the community of Chicama become more committed to surfing and caring for the environment. Share The Stoke Foundation teamed up with Fire Wire Surf Boards to donate 12 new boards every year. The Youth Weekend is a weekend full of activities for local children, among the activities we do are: • Free Surf Lessons • Donation of Boards to Local Surf Schools • Surf Championship for Children • Beach cleaning • Environmental care talks • Grill for the participants With this we have managed to engage the community with the care of the environment encourage local children to become the ambassadors of surfing in this unique area. So far we have collected almost 6 tons of plastics from the beach. Free Coffee for plastic beach litter: As of 2018 we have been offering the visitors of Chicama the opportunity to collect plastic trash from the beach and in return for a free coffee in our restaurant. This activity is designed to educate our visitors that their help is crucioal in keeping our beaches clean.